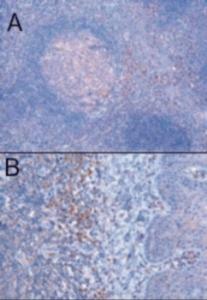 ELISA: Antibody detection limit dilution 1:16000. Western Blot: Approximately 37 kDa band observed in human brain lysates (calculated MW of 37.7 kDa according to NP_149084.1, isoform delta). an additional faint 40 kDa band consistent with calculated MW of 40.1 kDa according to NP_149083.1 (isoform gamma) is also observed. Recommended concentration: 1-3 μg/mL. 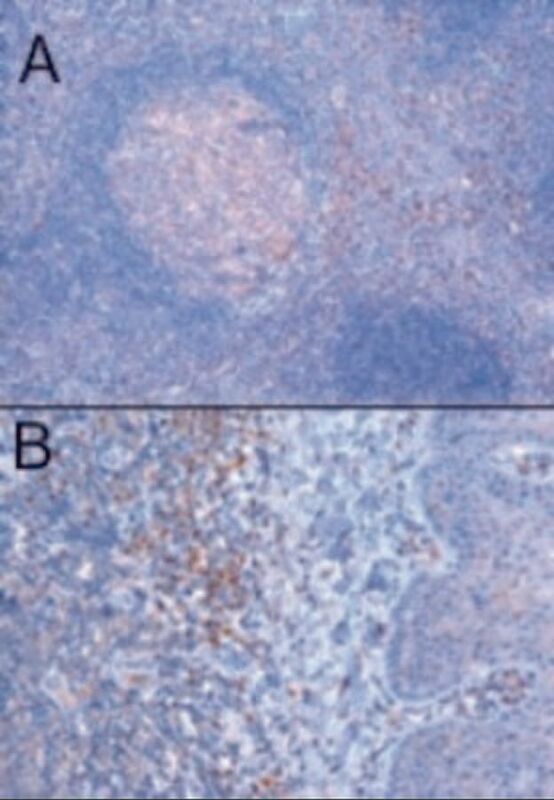 Immunohistochemistry: In paraffin embedded human tonsil, stains a group of cells in the interfollicular area, below the epithelium of tonsillar criptae and weak in germinal centre. Recommended concentration, 1.0 μg/mL.